Includes Mounting Hardware for Either Concrete, Asphalt or Natural Ground Surfaces. 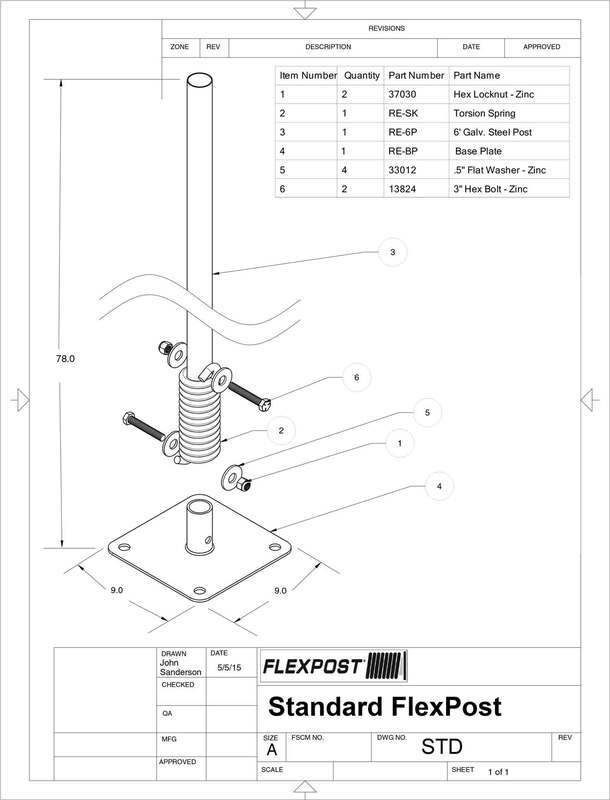 Also Included, Sign Brackets for Sign Mounting onto Post. 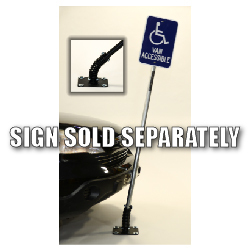 Among parking posts this surface-mount flexible sign post is one of the best available. Not only does it feature high-quality material and innovative design but it also solves a very expensive issue endemic to parking lots and structures everywhere. In fact, every year over 20% of parking lot sign posts must be replaced due to damage from vehicles and other sources. However this flexible sign post reduces that problem significantly by eliminating damage to parking lot surfaces and protecting vehicles from unnecessary damage as well.